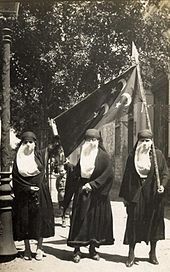 Turkey retained nominal sovereignty over Egypt, but the political connection between the two countries was largely severed by the earlier seizure of power by Muhammad Ali in 1805, and re-enforced by the later increasing British influence and occupation of Egypt in 1882. From 1883 to 1914, the Khedive of Egypt and Sudan under the Ottoman Sultan remained the official ruler of the country, but ultimate power was exercised by the British Consul-General. When the Caucasus Campaign of World War I broke out between the Russian Empire and the Ottoman Empire, Britain declared martial law in Egypt, and announced that it would shoulder the entire burden of the war. On 14 December 1914, the Khedivate of Egypt was elevated to a separate level of Sultanate of Egypt, and declared as a British protectorate, thus terminating definitively the legal fiction of Ottoman sovereignty over its province of Egypt. The terms of the protectorate led Egyptian nationalists to believe that it was a temporary arrangement that would be changed after the world war through bilateral agreement with Britain. Before World War One, nationalist agitation was limited to the educated elite. During the war, however, dissatisfaction with the British occupation spread among all classes of the population. This was the result of Egypt's increasing involvement in the war, despite Britain's promise to shoulder the entire burden of the war. During the war, the British poured masses of foreign troops into Egypt, conscripted over one and a half million Egyptians into the Labour Camps, and requisitioned buildings, crops, and animals for the use of the army. In addition, because of Allied promises during the war (such as American President Woodrow Wilson's "Fourteen Points"), Egyptian political classes prepared for self-government. By war's end the Egyptian people demanded their independence. 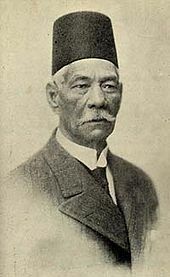 Shortly after the First World War armistice on 11 November was concluded on the Western Front in Europe, a delegation of Egyptian nationalist activists led by Saad Zaghlul made a request to High Commissioner Reginald Wingate to end the British Protectorate in Egypt and Sudan, and gain Egyptian representation at the planned peace conference in Paris. The delegation also included 'Ali Sha'rawi Pasha, Abd al-Aziz Fahmi Bay, Muhammad 'Ali Bay, 'Abd al-Latif al-Makabati Bay, Muhammad Mahmud Pasha, Sinut Hanna Bay, Hamd Pasha al-Basil, Gurg Khayyat Bay, Mahmud Abu al-Nasr Bay, Mustafa al-Nahhas Bay and Dr. Hafiz 'Afifi Bay. The British government under Prime Minister David Lloyd George, sent a commission of inquiry, known as the "Milner Mission", to Egypt in December 1919, to determine the causes of the disorder, and to make a recommendation about the political future of the country. Alfred Milner /first Viscount Milner / Lord Milner's report to Lloyd George, the Cabinet and King George V, published in February 1921, recommended that the protectorate status of Egypt was not satisfactory and should be abandoned. The revolts forced London to later issue a unilateral declaration of Egyptian independence on 22 February 1922. This page is based on the Wikipedia article Egyptian Revolution of 1919; it is used under the Creative Commons Attribution-ShareAlike 3.0 Unported License (CC-BY-SA). You may redistribute it, verbatim or modified, providing that you comply with the terms of the CC-BY-SA.